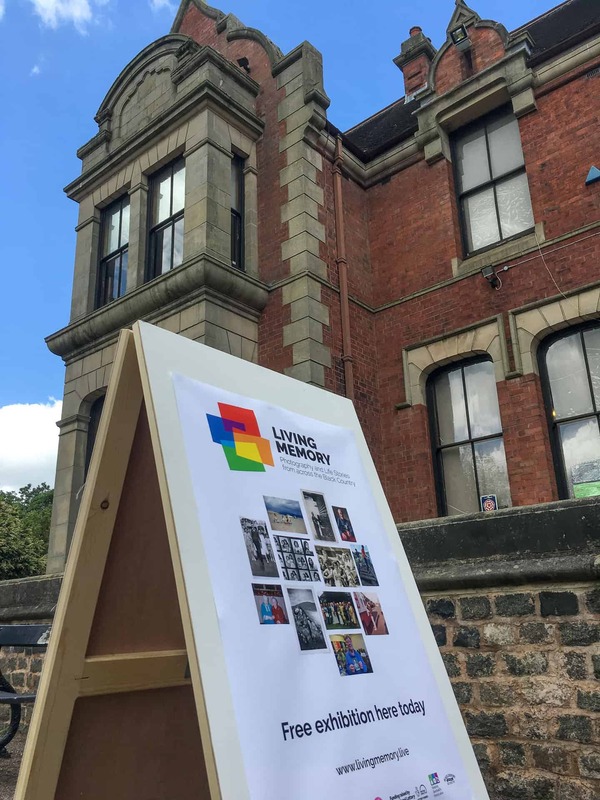 Our first Living Memory temporary exhibition took place in June 2018 at Haden Hill House Museum in Cradley Heath, Sandwell. 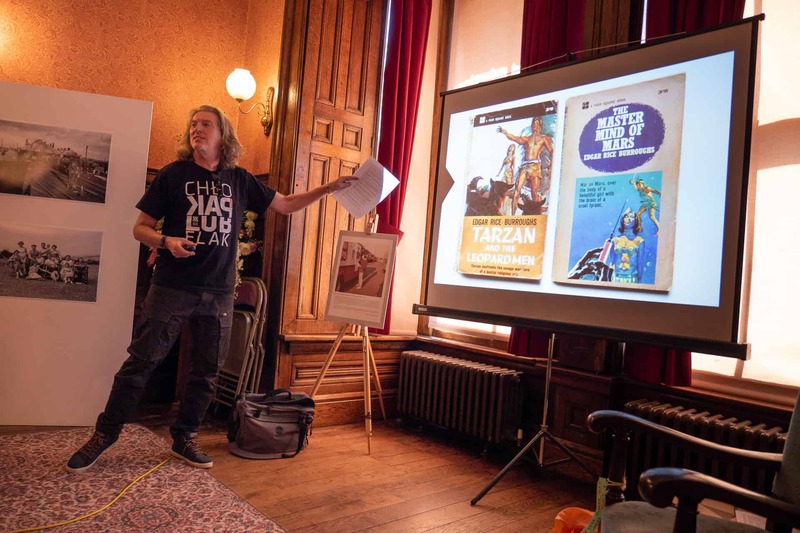 We worked closely with the team from Sandwell Museum Services to make the most of our eight-day residency at this splendid Victorian-era house. We recorded just under 1,500 visitors to the exhibition over the eight-day period. 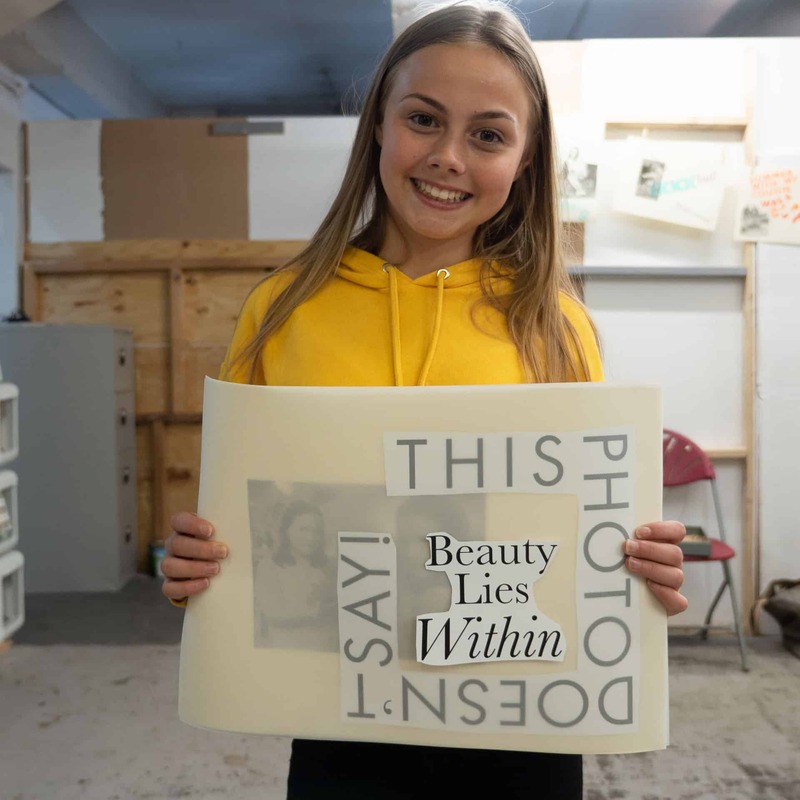 As part of our residency we also hosted two photo and story collection sessions, took part in the ‘Midsummer Music in the Park’ event, and hosted a creative writing workshop with Louise Palfreyman. 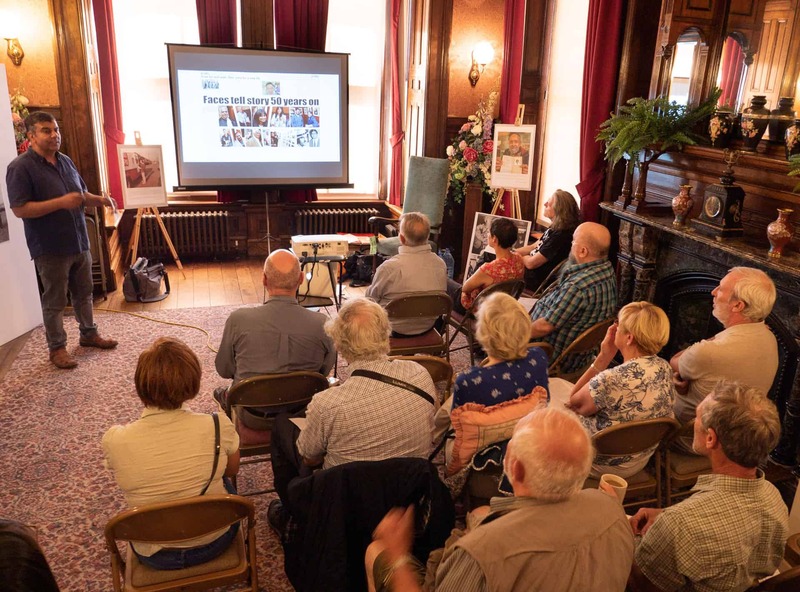 To round off our time at the house we organised a special day of talks and presentations around different kinds of photography collections. 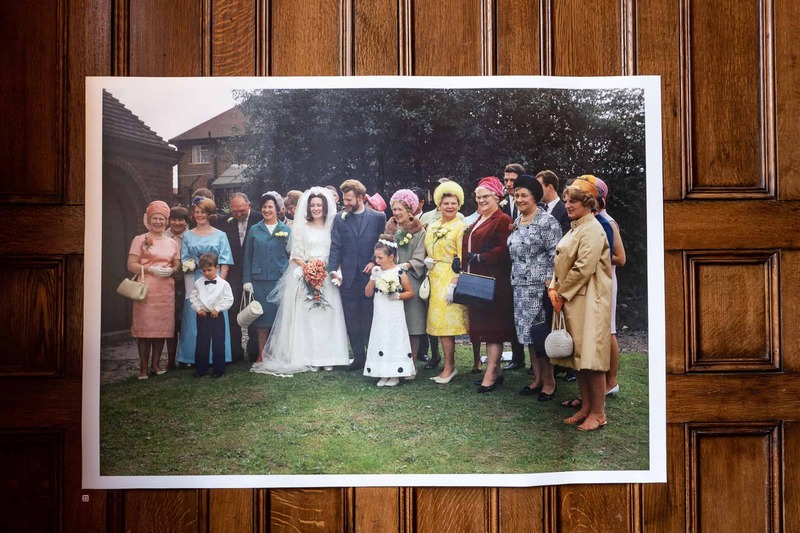 Ron Moss: The Wedding of Margaret Gwilliams and Jake Watson at Laurel Road Methodist church in August 1967. 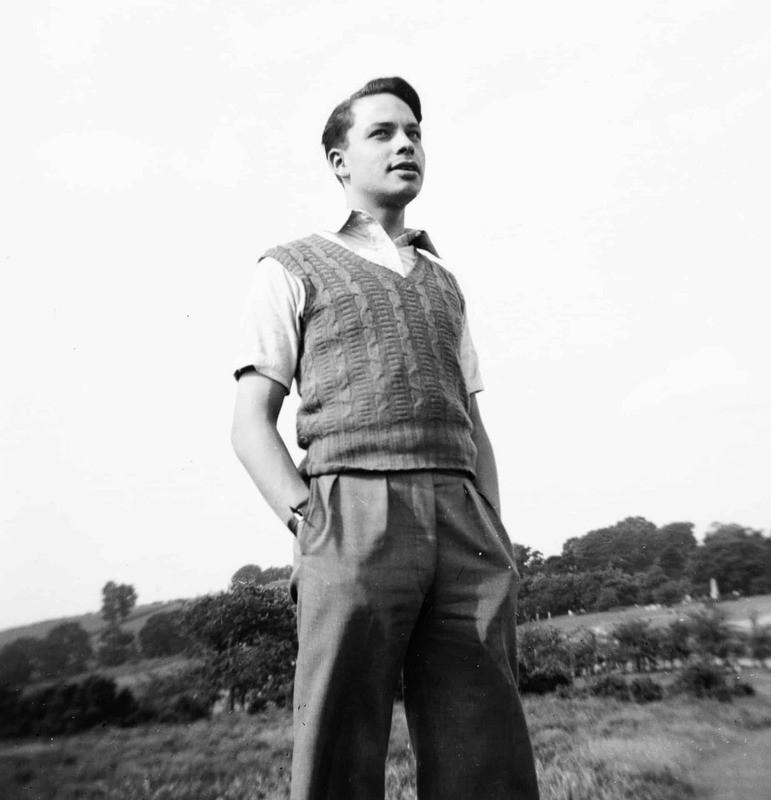 We were delighted to host a retrospective of the personal collection of Ron Moss from Old Hill. 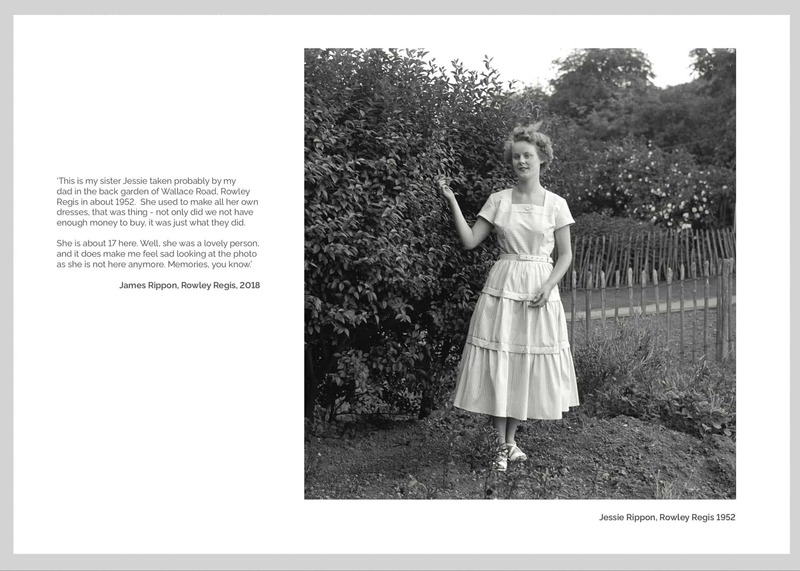 We showcased a selection of 24 photographs of his previously unseen private work made between 1950 and 1970. 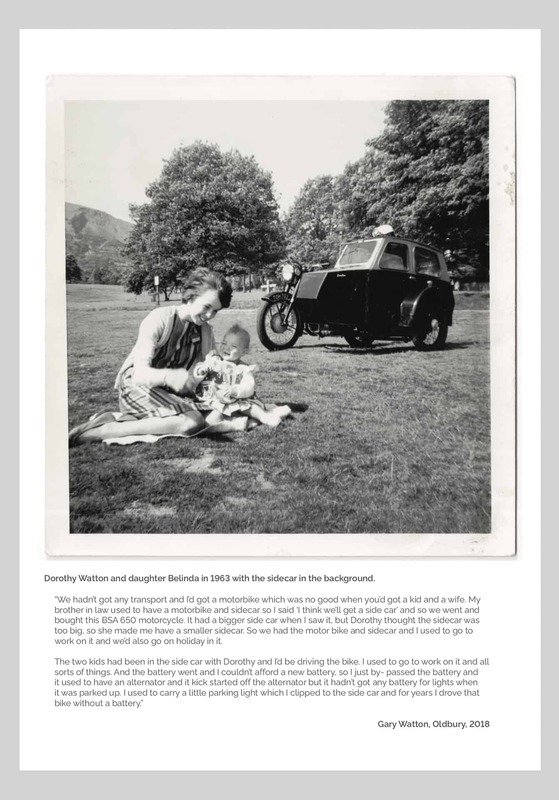 Working in collaboration with Ron and his daughter Cheryl, we chose photographs that demonstrate his developing eye as he informally captured his family and friends and their day- to-day lives. We also included a few later iconic images to pay homage to his love of the Black Country to which he has dedicated so much of his life. 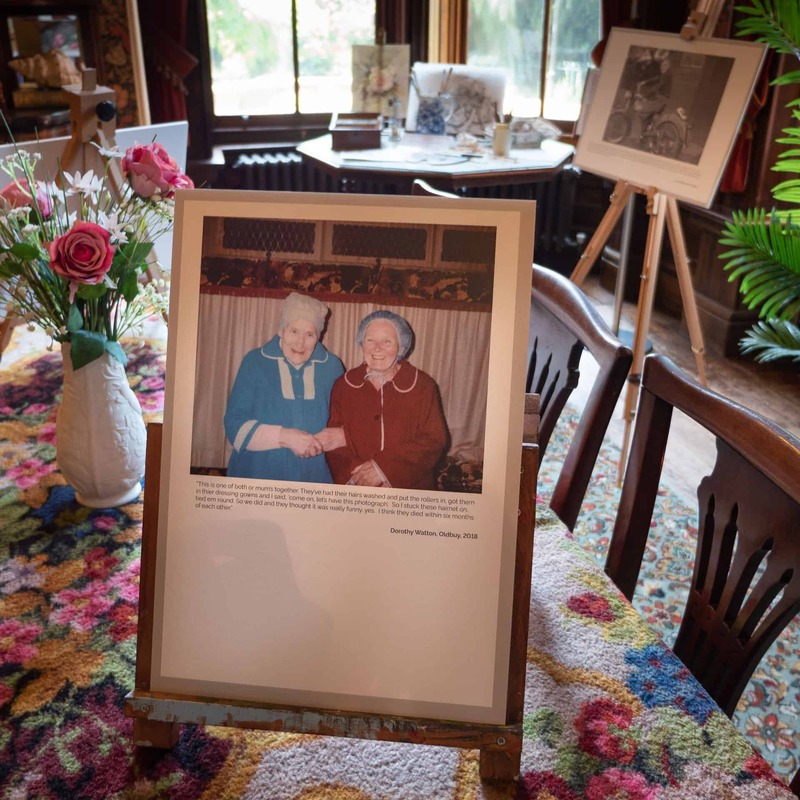 Throughout the house we carefully presented some of the personal photographs and related stories that have been shared with us as part of our work in the area, particularly from Rowley Regis and the estates of Grace Mary and Lion Farm, and around Oakham. 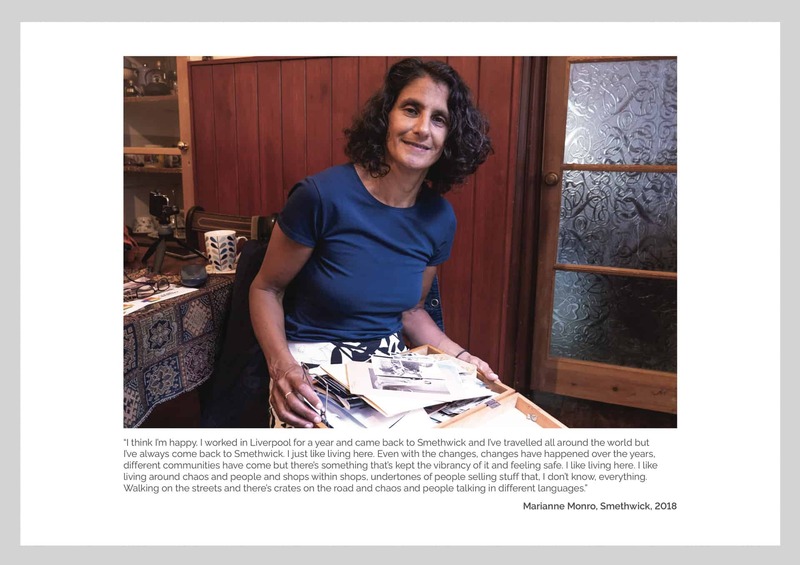 The stories and photographs were taken from recorded oral histories of participants speaking about their own collections in relation to their own lives. Above: A sample selection of the image and story panels shown throughout the house. 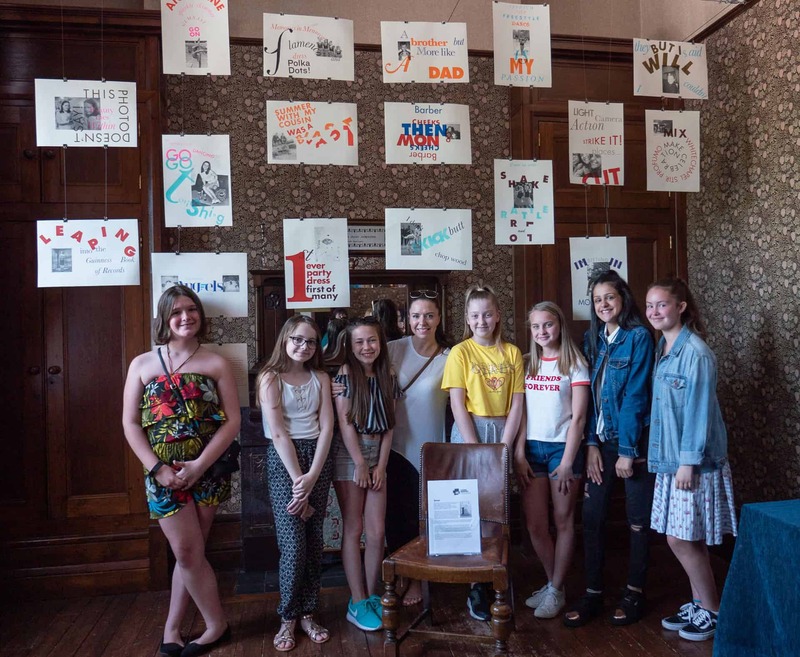 The Student Voice at St Michael’s Senior School, Rowley Regis, worked with members of the local community to produce their own exhibition at Haden Hill House Museum. They were supported by artists Richard Franks and Gemma Ince of Blue and White Creative and Kerry Whitehouse from St Michael’s School. 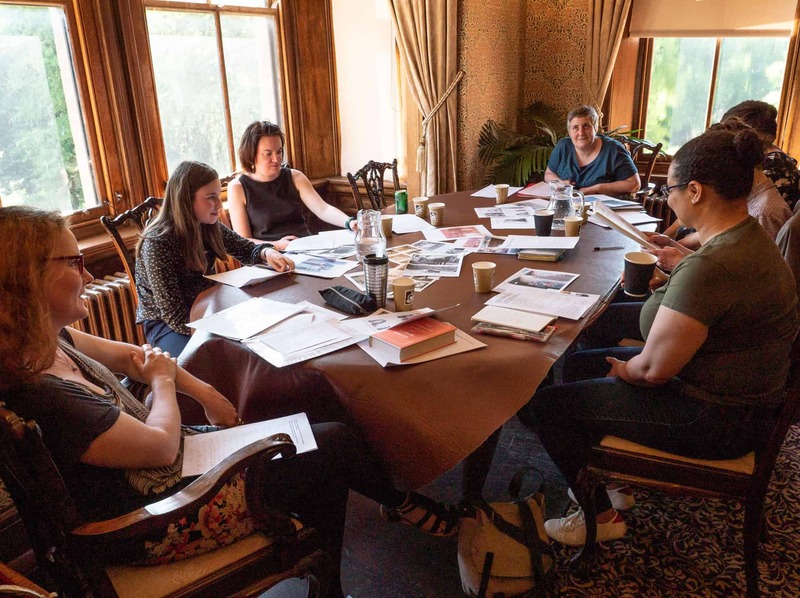 The project was an opportunity for participants to share key moments in their life narrative while finding rich and surprising common ground in each other’s understanding of family, relationships, successes and critical turning points. Some were celebratory, some poignant, some deeply personal, and some had a historical resonance. Some of the students from St Michael's School, Rowley Regis, stand in front of Seven that they produced for the Living Memory exhbition. 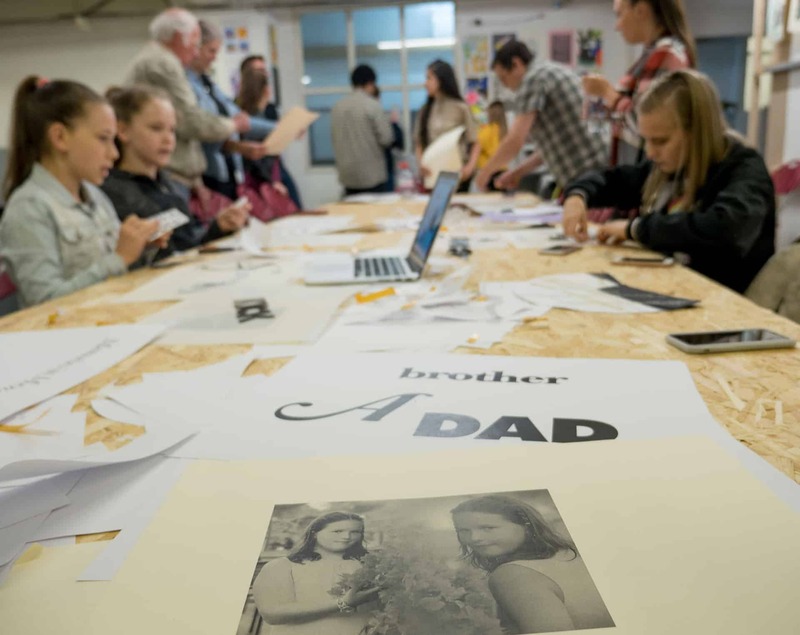 In this context, the project allowed the group to explore the relationship that different generations have with photography, and also the way we capture, remember and recount an event or moment. The group was then challenged to come up with just seven words to represent each person’s chosen image and its significance to their lives. Their creativity was expressed further by a workshop exploring typesetting and how we can use the arrangement of words to represent their meaning. Each person in the group chose, cut, stuck, copied and scaled their own text to develop their artwork. Working with Birmigham-based Ropepress, the group took their artwork through this final process to create the final colourful versions of their work. This has given the final results a bright, playfulness and rich poignancy. 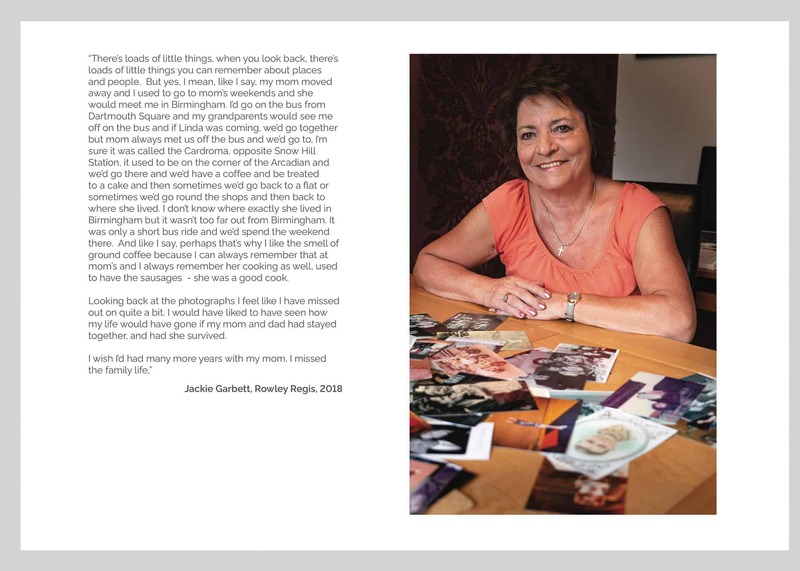 Photography Students from Level 3 extended Btec at Sandwell College have each produced sets of photographs in response to The Living Memory Project. 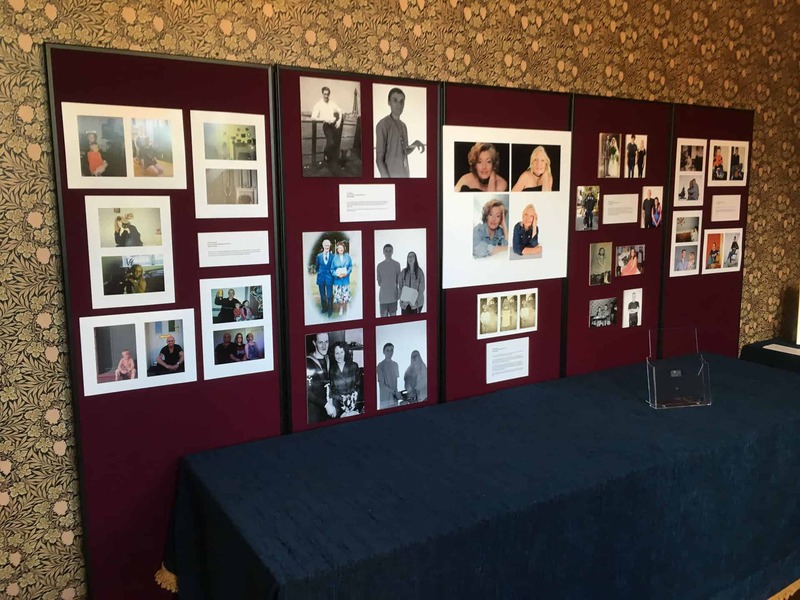 After initially discussing themes of the family album with tutors John Edwards, Richard Franklin and Helen Sweeting, they researched photographers who have also produced work on the topic. 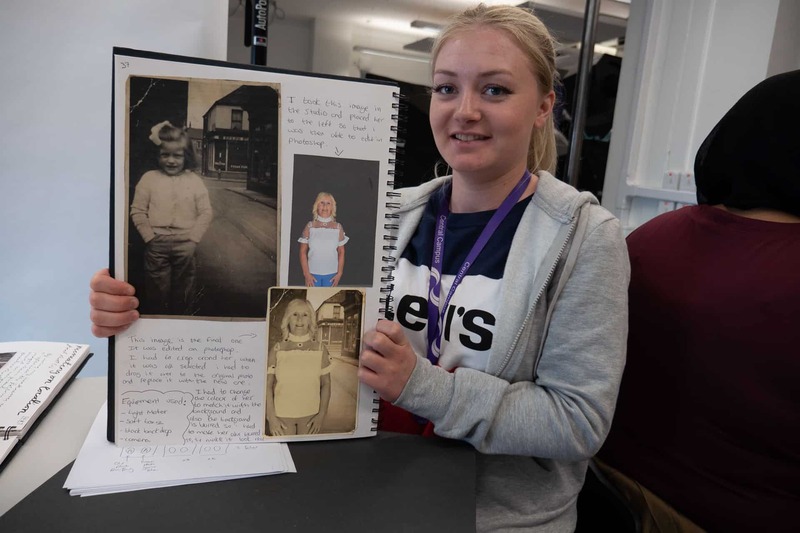 They were given an open project brief to create photographs in relation to either their own family albums from relatives, or photographs from the Living Memory Project website. 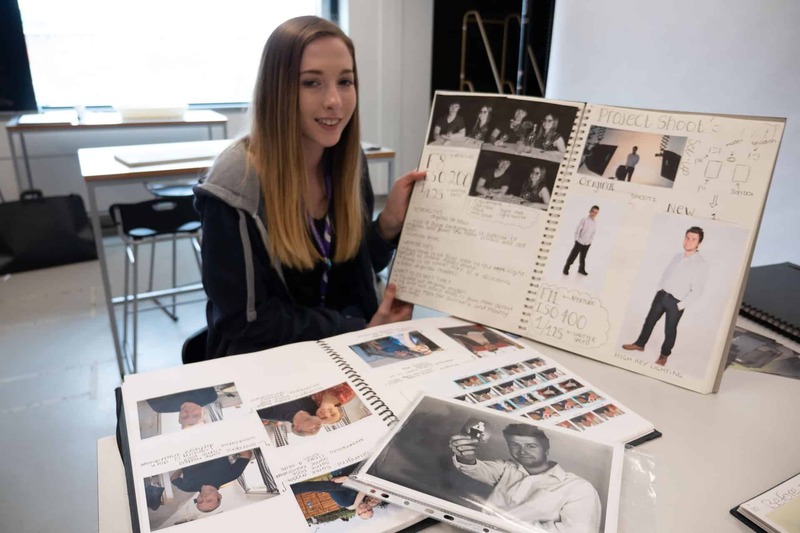 Using the studio or on location, then processing their photographs using the darkroom, digital and a variety of post - production techniques, they have explored and developed their ideas to produce work in response to their original images. 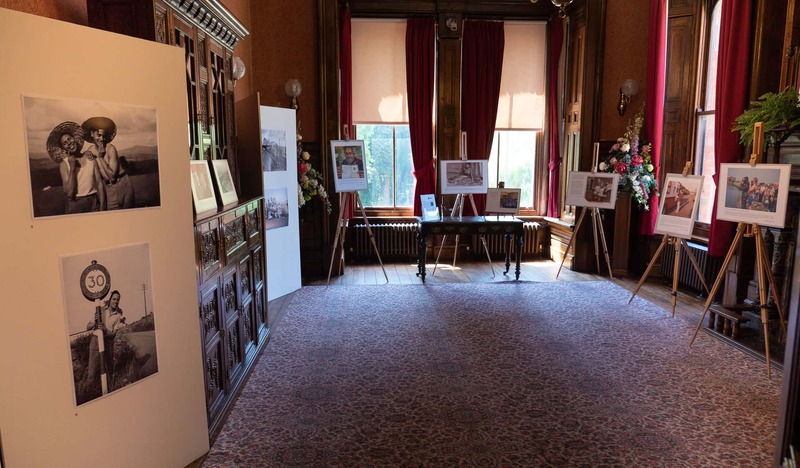 During the exhibition we hosted a stall and temporary display of collections in the house grounds. It was a chance to talk with a range of local people about the project and invite further participation. 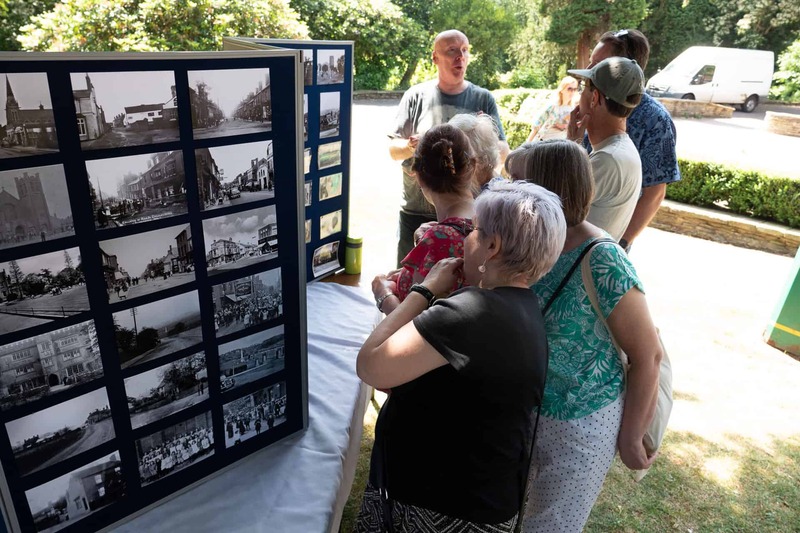 We met some fascination people including Mike Poulton who brought along an album of his father’s wartime experiences based on an oral history interview, and Nancy Cooper who was a land army girl from Old Hill. She wrote a book about her experiences called Down to Earth which you can find for sale here. We were also delighted to welcome local history enthusiast and Living Memory volunteer Mike Fenton who crafted his own display of image from his own vast personal collection. 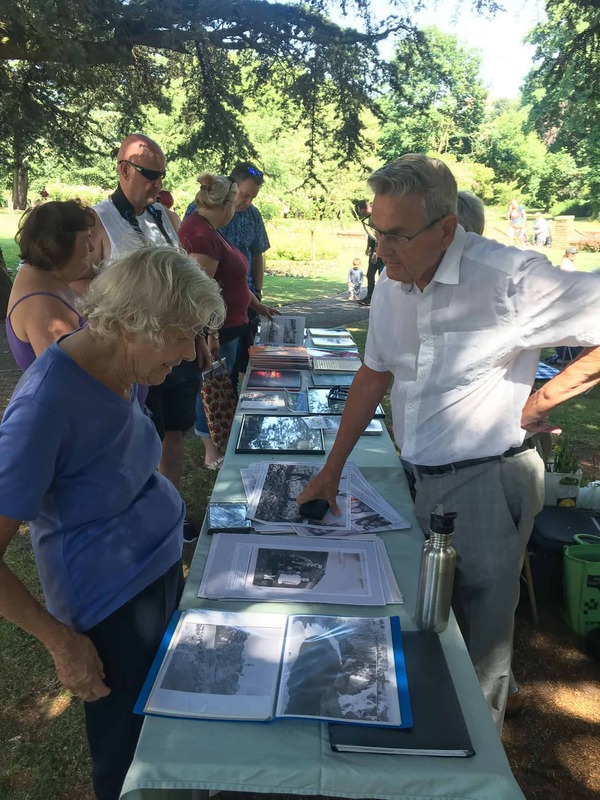 We were also assisted by project volunteers Jim Rippin, Juanita Williams and Cath Mansell who all shared some of their own collections as part of the event. 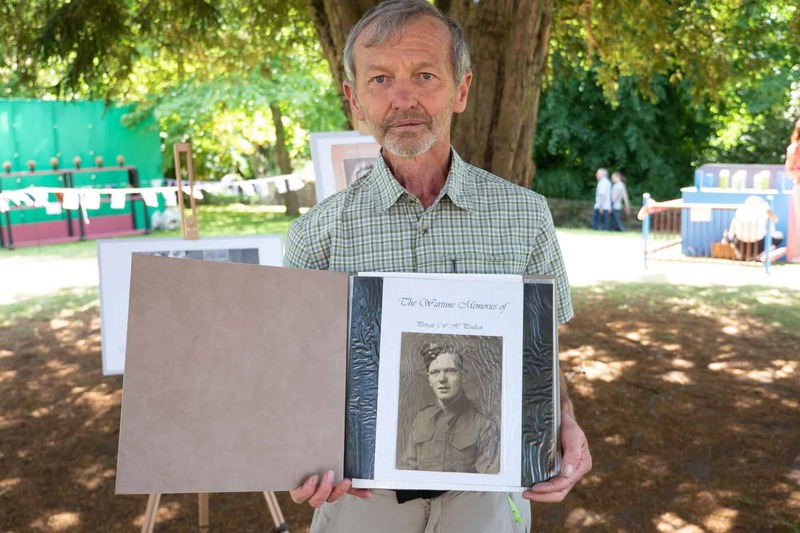 Mike Poulton shows off the album he made about his father's experiences of WW11. In Perspective- A day of talks about different kinds of photography collections. 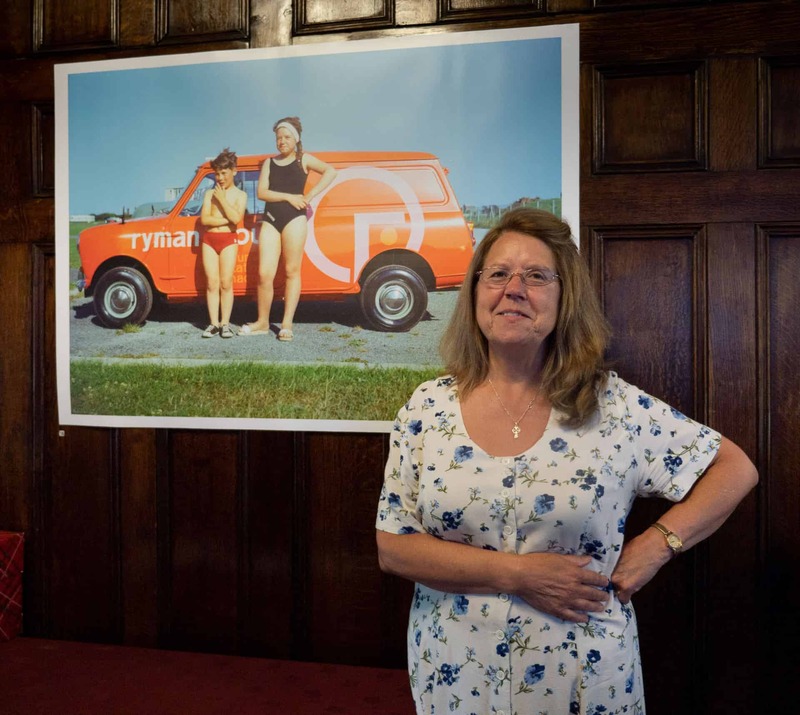 We hosted a lively day of fascinating presentations and spirited discussion around different kinds of photography collections from across the Black Country. 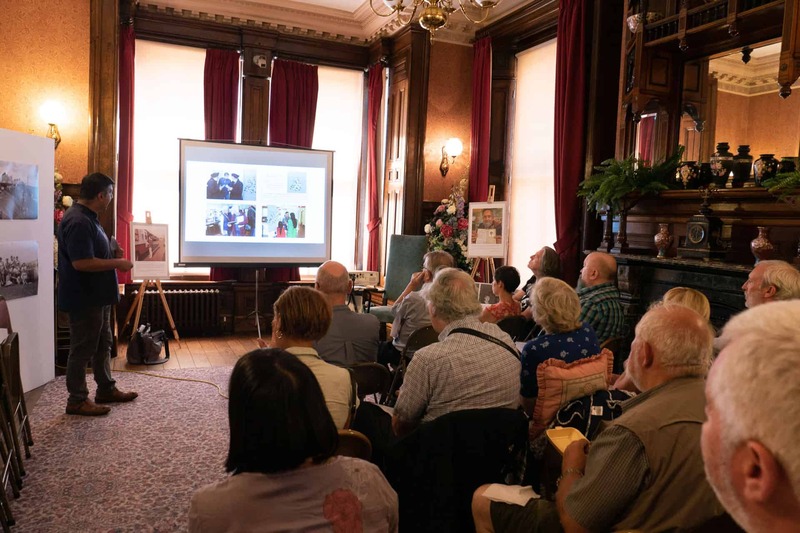 Geoff Broadway, our Living Memory project lead, presented an overview of the project to date. He spoke in detail about the value creating opportunities for the sharing stories and photographs from everyday life. Maureen Waldron from the Community and History Archive Service Sandwell gave us an fascinating outline of what kinds of photography collections that are kept in the archives. 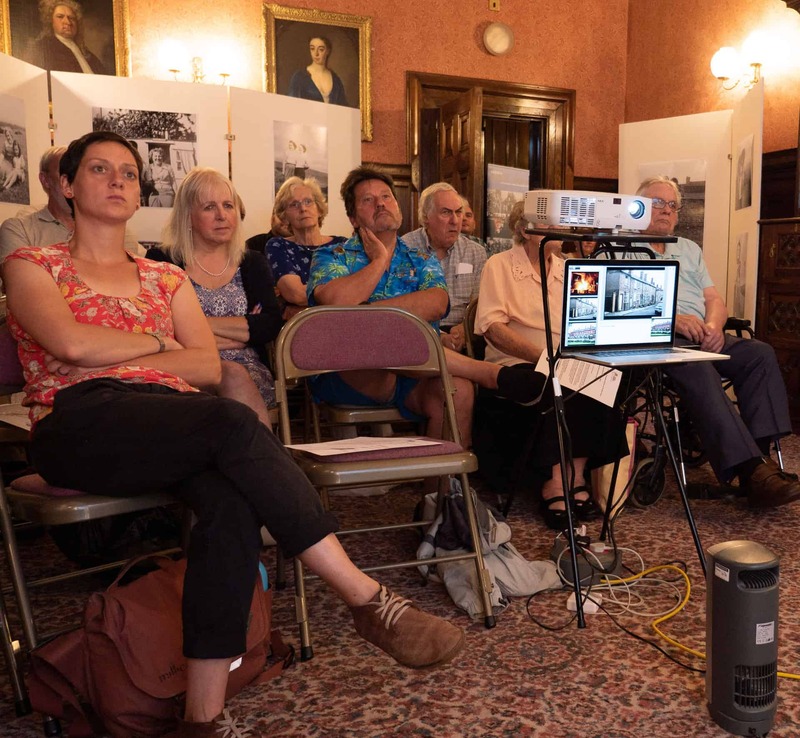 She also spoke about why the Living Memory project was helped to fill the significant gap in the local archives of photographic material taken of everyday life over the last 70 years. 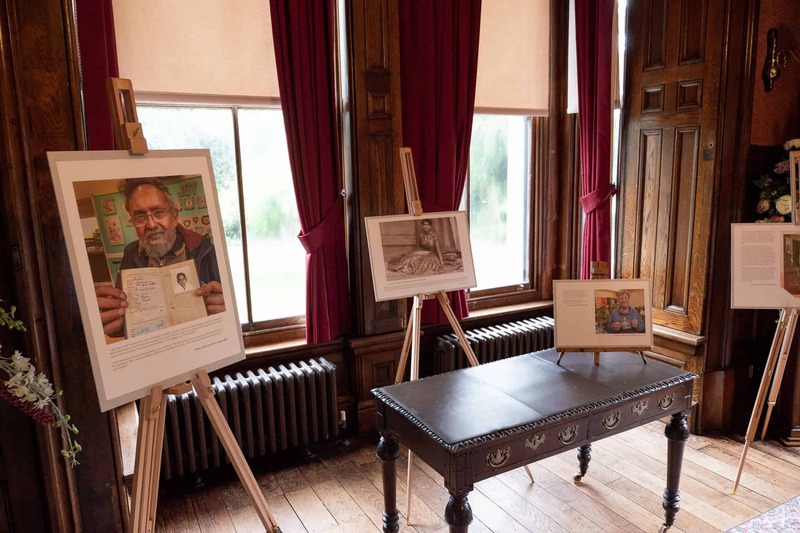 Anand Chhabra presented The APNA Heritage Project which is an archive of photographs of the Punjabi community of Wolverhampton taken between 1960 and 1989. 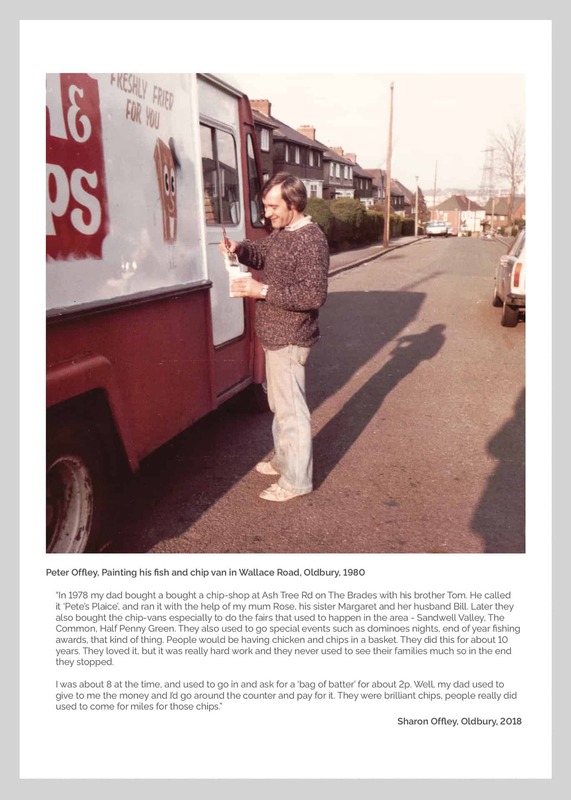 Brendan Jackson presented story of The Jubilee Arts Archive that captures the work of Sandwell-based Jubilee Theatre and Community Arts Company between 1974 and 1994. 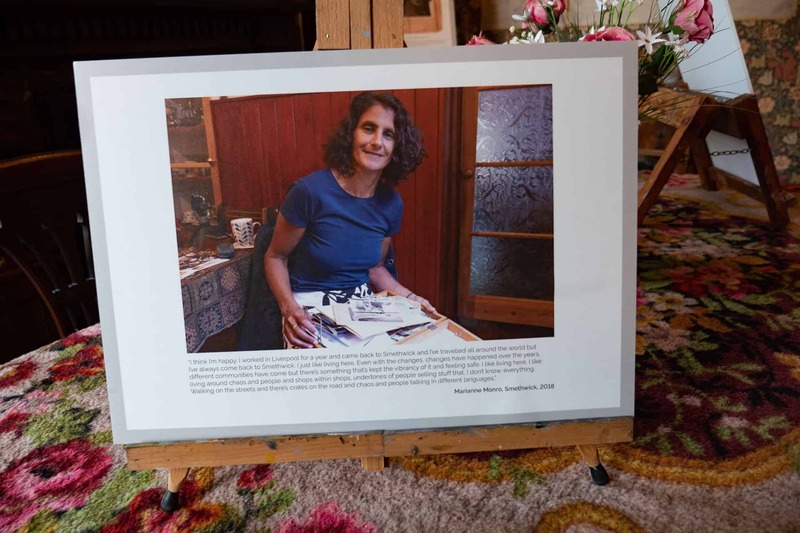 Louise led an exploratory session where participants were invited to respond and explore some of the images from the Living Memory growing archive. This intense and stimulating workshop explored different aspects of story telling around different kinds of personal photographs. Produced by: Kiera Grigg, Ellie Vernum, Mia-Darcy Garcha, Lucy Clifford, Rosie Smith Chloe Gladwin, Holly Palmer, Linda Russell, David Russell, Jackie Garbett, Don Whitehouse Jane Proud. Supported by Kerry Whitehouse, Richard Franks and Gemma Ince. Curated by Ron Moss, Cheryl Aston and the Living Memory team. Many thanks to Ian Bayliss of Sandwell College for support and re-touching work. All files digitised from negative and slide by Keith Hodgkins. 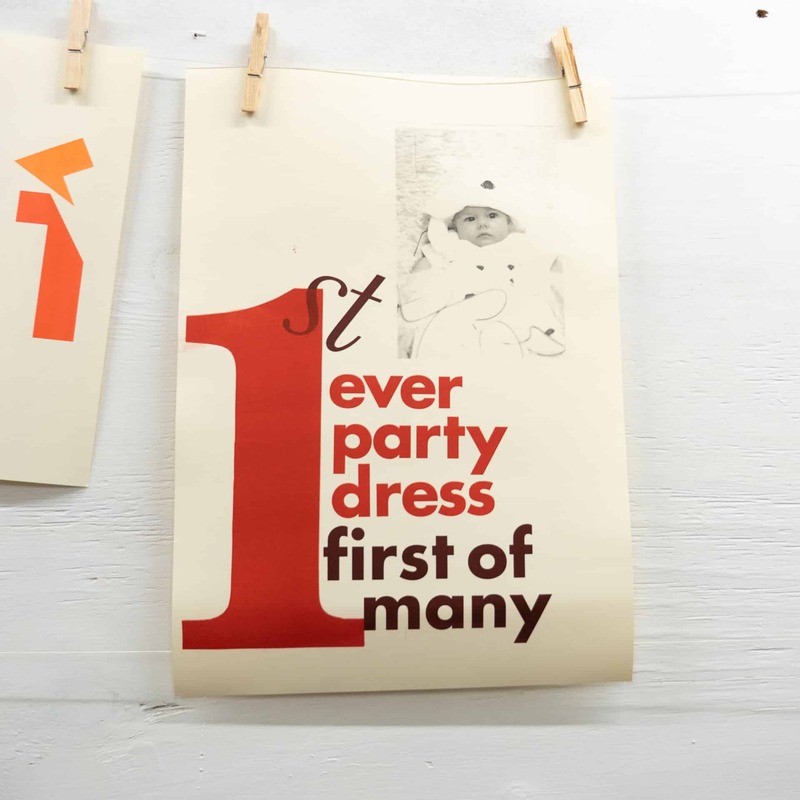 Rich Franks at Blue and White Creative. Jane Hanney, Alison Hyatt and the team for enthusiastically supporting the Living Memory residency. Mark Prestage for his great help with installation, exhibition upkeep and take-down. Jack Whitehead for interpretation support. Love looking at these old photographs, bring back so many memories. 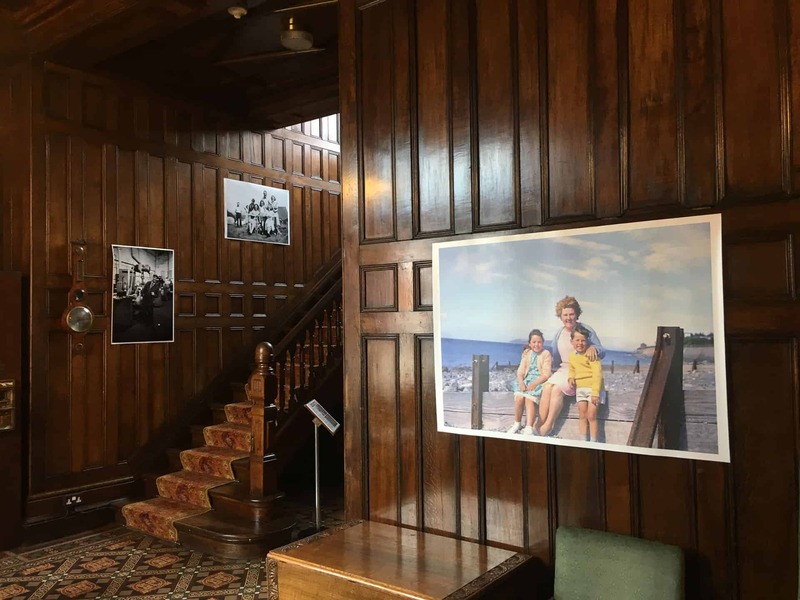 It was wonderful to see Dad’s collection of photographs at Haden Hill House and to appreciate what a wonderful skill Dad has as a photographer. 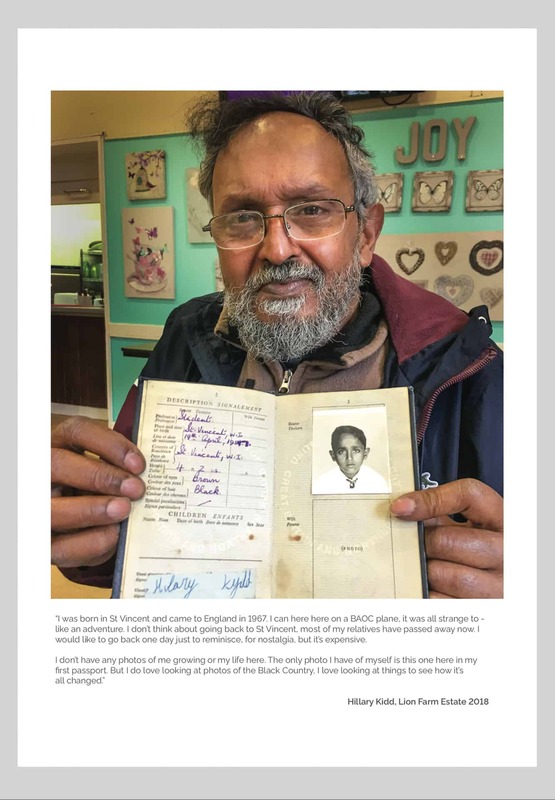 Dad and I are very grateful to Keith for digitizing all the photos and to Geoff for bringing this project to us which was a wonderful trip down memory lane for mom, dad and myself spending time looking through the photos and talking about wonderful times the photos depict. Thank you all.